Learn more about how the program Children of the Revolución came about. The series is slated to run on Univision in 2013. Thank you San Antonio for this historical milestone. Thank you San Antonio and gracias to the Instituto Cultural de Mexico and the UNAM for the wonderful event at the Children of the Revolución Book Signing Event and presentation. Since the first episode of Children of the Revolución Alex McCumba has been passionately weaving original musical movements to fit the drama and emotion of the stories being recounted by the children, grandchildren and great grandchildren of those who fled Mexico 100 years ago. Journey through the recuerdos of The Children of the Revolución through medium of this music that puts you on the edge of vida y muerte. We got an email on our blog today from somebody interested in getting the full collection of Children of the Revolucion series. Apparently, he asked his mother what she wanted for Christmas. "I don't want anything... Well wait! If you're going to get me something for Christmas the only thing on my list is the Children of the Revolucion TV show." We've discounted the entire gift set for these holidays. You can get the entire 20 show series on DVD for $175.00 (instead of the regular $250) if ordered before 2012. 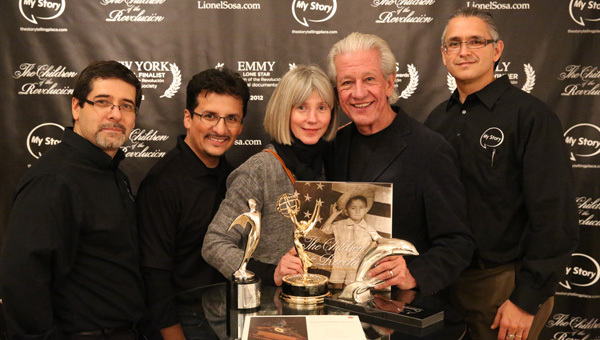 The Emmy Award-winning television documentary, "Children of the Revolución - How the Mexican Revolution Changed America," is now a beautiful, historically compelling table-top book. 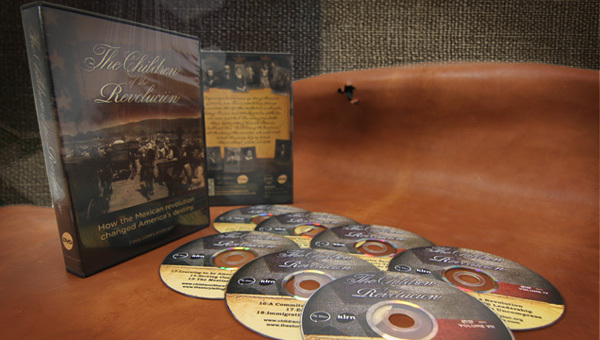 The entire Children of the Revolucion collection on DVD or Blu-Ray... A wonderful Holyday gift for your familia. Get it now.